Ghanaian Rapper Medikal has reacted to rumours that he cheated on his ex-girlfriend, Sister Debbie. The rapper announced actress Fella Makafui as his new girlfriend after ditching Sister Debbie after dating for years. In a recent interview, Sister Debbie revealed she left Medikal because he had cheated on her many times during their love journey. But, Medikal described Sister Debbie as a “liar” insisting he never cheated on her as presumed in the public domain. Speaking on Joy FM’s Drive Time show with Lexis Bill on Monday, Medikal said one of the factors that led to their breakup was because Sister Debbie was paying heed to rumours outside their relationship. “I never cheated on her. They were just rumours and sometimes when you listen to people too much that’s what happens. Its not something I would like to address. I am not a cheat,” Medikal noted. 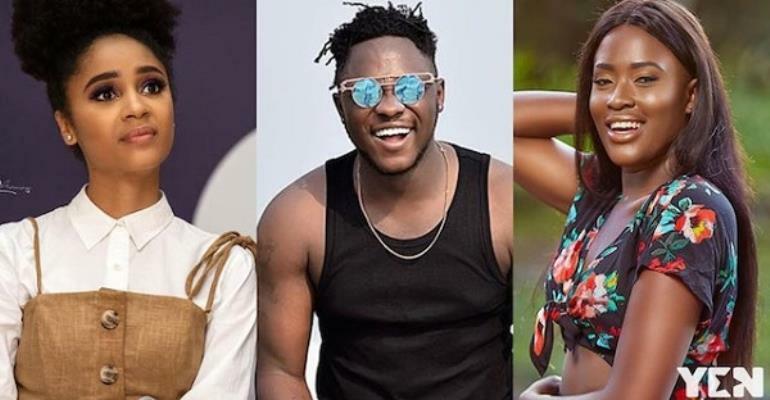 Medikal is part of a tall list of entertainers to grace this weekend’s star-studded event, 3 Music Awards, happening live at the Fantasy Dome on March 30, 2018.